Download this worksheet to create a social media strategy for your business today! You need a plan for your social media marketing and operations to be effective. This template is designed to assist you in setting up a social media strategy for your business or organization using the 3 C’s (Content, Contacts and Consistency) strategy. Research has shown that the 3 C’s strategy is effective for social media optimization. Social media optimization helps grow business awareness which helps generate ROI. Follow the instructions on worksheets 1 and 2. 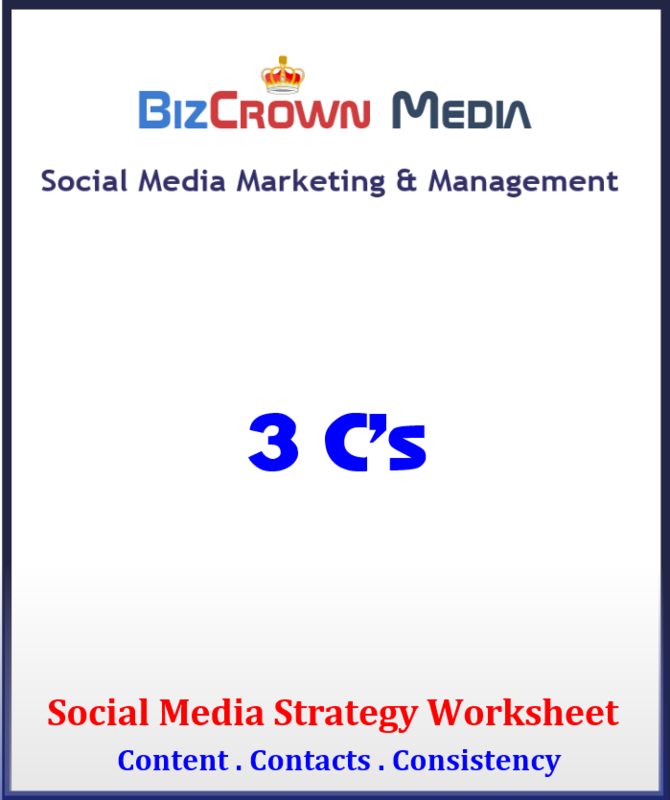 Answers to worksheet 2 are to be filled on the Social Media Strategy Sheet (3 C’s sheet) starting on page 7. The Strategy Summary Sheet summarizes and explains the strategy based on your answers.